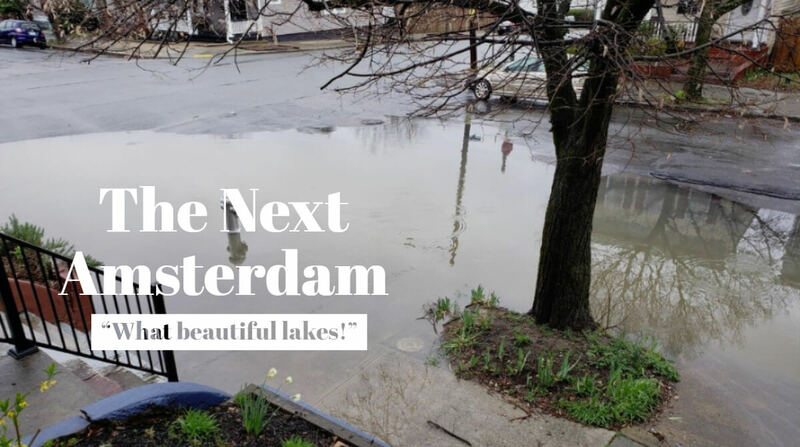 Residents of Church Hill are pleased to see the River City offering waterfront views all over the neighborhood as lakes emerge after storms. Local merchants are also excited about the new business opportunities. To the anticipation of commuters who know April showers bring May flowers, and long walks from high ground, Gei’s Gondola and Franklin St. Flatboat are both hosting openings today. Rumors abound that Chimborazo Elementary will field the city’s first junior rowing team, and will hold the Marshall St. Regata sometime this summer. Weather permitting, of course. This is clearly an insensitive, racist post! Only white people can afford a jet ski and be able to live on a lake! This post also only mentions the immediate area and there should be an investigation/survey into how this could happen! John Murden Jr., glad to know my favorite CHPN tradition has returned! Someone should start a canoeber business ???????????? Isn’t today April Fools Day or did I miss something? So far so good CHPN!! The comments are hysterical. Canoeber – That had me LOLing. The next super elite ride sharing service. Oh this makes me happy! This is preposterous. Where is the boat ramp?